This chapter takes the argument of the previous chapter on multiculturalism further. It is not enough to unite a multicultural society; it is equally important that its citizens should develop a common sense of belonging and accept each other as its equally legitimate members. The sense of belonging cannot be based only on equal rights, which arc largely formal, and requires some degree of mutual concern. Nor can it be based on shared ethno-cultural ties because the modern society is too complex and heterogeneous for that. 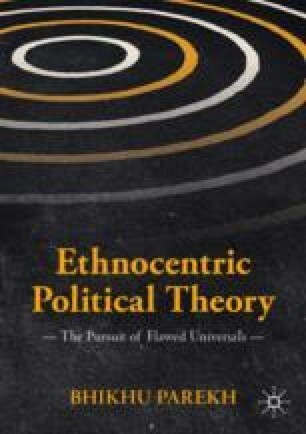 The author suggests that while expecting a basic commitment from its citizens, a multicultural society should recognise that different citizens will do so differently and to different degrees depending on their relations to and treatment by the state.